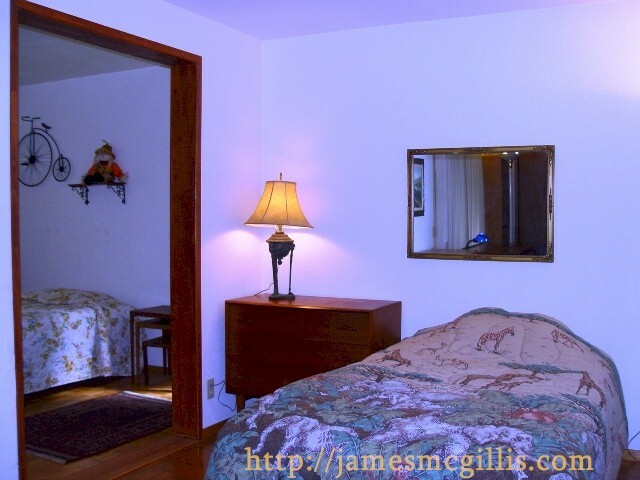 In late May 2010, I began an extended visit to Port Orford, Oregon. 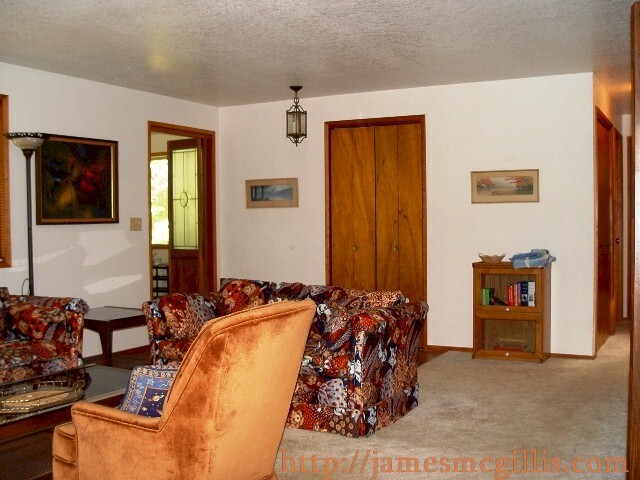 My mission was to finish cleaning and preparing my mother’s former home and property for rental. Although Port Orford straddles U.S. Highway 101 in Southern Oregon, it is remote from any sizable population centers. Seventy miles north are the twin cities of Coos Bay and North Bend, Oregon. With a combined population of under thirty-thousand, full services are available there. Eighty miles south of Port Orford is Crescent City, California. With a population of less than eight thousand, it has full services, but with a small-town feel. Other population centers on the Southern Oregon Coast include Bandon By The Sea, Gold Beach and Brookings, each with fewer people than Crescent City. Interstate Highway I-5 is the nearest Interstate Highway to Port Orford. It runs north and south through the interior of the state. From Port Orford to I-5 in Grants Pass, Oregon is one hundred sixty-five miles. From Port Orford to Eugene, Oregon is one hundred sixty-seven miles. Reaching either road connection to I-5 takes over three hours. 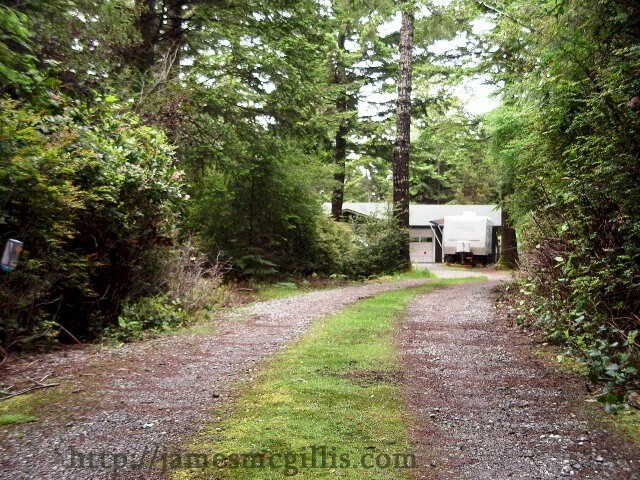 Because of its remoteness, I planned to stay in Port Orford until I finished packing, cleaning, staging and preparing for rental of the 1900 sq. 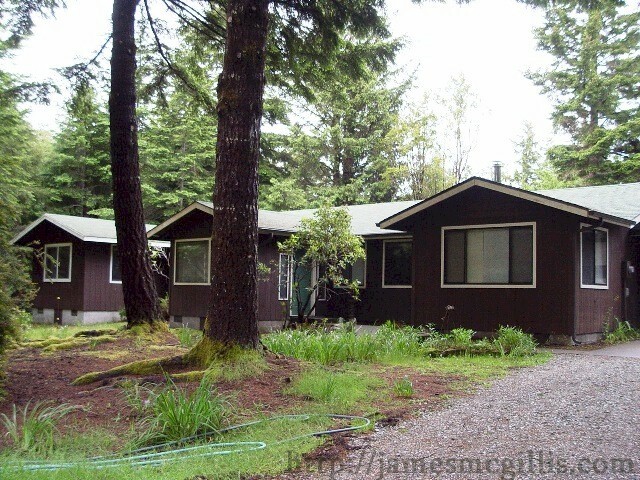 ft. home and its 1.72-acres of mixed coastal forest. Deferred maintenance on the property and my mother’s preference for natural surroundings meant that I had work to do, both inside and outside the house. While at the property a month earlier, I had rehabilitated the driveway with a new coating of gravel. Since the driveway is almost one hundred yards long, I strove to keep the “country road” look, conserving a strip of moss and grasses down the middle. Upon my return, it was time to see if rainfall had sustained my greenery. Had any grass filled-in where I had raked gravel off its delicate bed? By August 2009, Port Orford running total for annual rainfall was forty-seven inches. 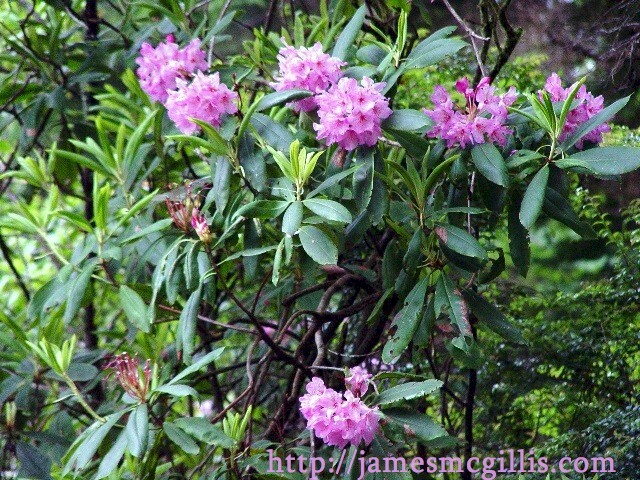 Early this May, the running total for 2010 had exceeded seventy-seven inches. 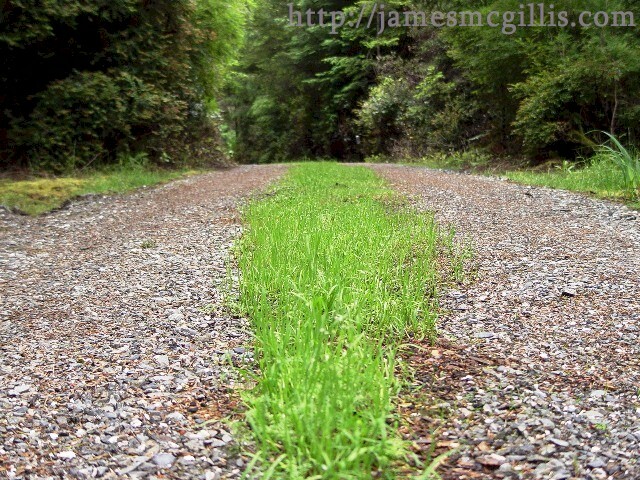 With daily rain throughout much of April and May, grass had sprouted from the composted-encrusted seeds I had sewn on the driveway only a month before. At the house-end of the driveway, the grass between the two tracks was tall enough to clip. When entering Oregon via U.S. 101 North, Brookings is the first town that you encounter in Oregon. Brookings likes to tout itself as being in the heart of the "Oregon banana belt”, claiming that it has warmer temperatures in the winter than other towns along the Southern Oregon coast. Locals in Port Orford would scoff at anyone who claims that Port Orford is part of any banana belt. Although there is more than enough rain to grow bananas, in April and May, local temperatures often hover near 50 f. In order to enjoy the Port Orford climate, one must enjoy intermittent or sustained periods of cool, damp weather. 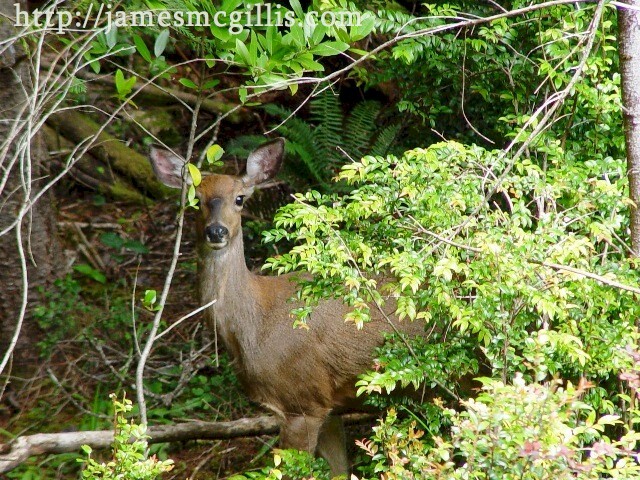 Black-tailed Deer thrive throughout the mixed coastal forest and wooded lots of the Port Orford Cedar Terrace Tract. If one is driving near sunrise or sunset, it is wise to proceed slowly up or down 18th Street, which is the entrance to Cedar Terrace from town. As the road leaves the City of Port Orford, the two-lane road changes names to Vista Drive. In midday and all night, it is rare to spot a deer in the area, but in the early morning and late afternoon, the woods seem almost alive with deer. 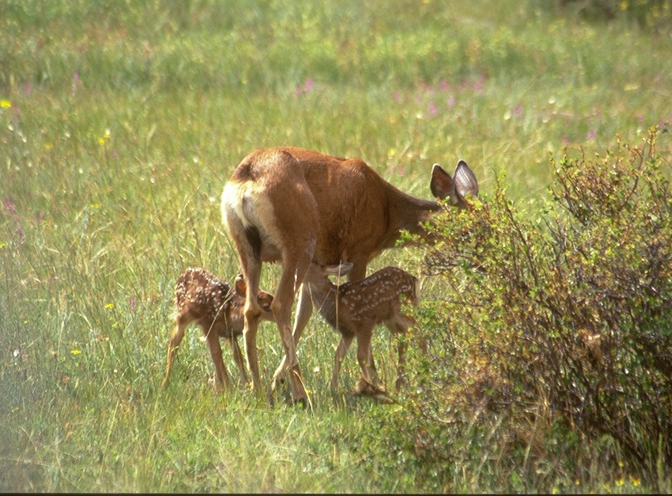 Often grazing in herds of five to ten, Black-tailed Deer graze on almost any new, green growth, including poison oak. Only plants that have a distinct gray cast are out of favor for nibbling. 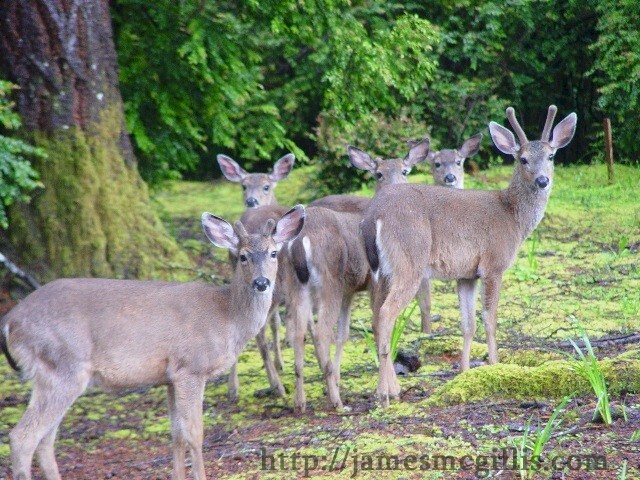 One morning, I opened my front door to find a herd of four females, led by a single buck. 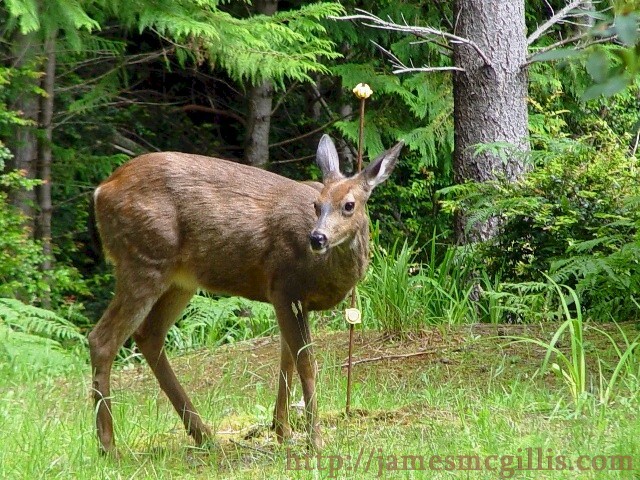 Since it was early in the growing season, the buck’s antlers remained short and covered with soft tissue. Rarely staying in one place for more than a minute or two, this herd disappeared into the extensive network of deer trails that crisscross the wilds of our front yard. In addition to well-worn deer trails, there are many Black Bear trails in the woods, as well. Because of their propensity for hiding in heavy undergrowth, one can easily locate bear trails in the woods. Where the undergrowth is the thickest, they will use their bodies to clear neatly trimmed "tunnels" in the foliage. Such passageways are about four feet wide and three feet high, which give you a good idea of how large a bear is while walking on all four feet. To follow one of these trails, if one were foolish enough to do so, would require crouching down and clamoring head-down through a blind alley. I wondered what would happen if I had entered one of these “bear tunnels” from one end and a bear entered it from the other. Speaking of bears is all that we can do here, since sightings are rare in Port Orford. Still, the bear-shaped passageways all over the area hints strongly at their presence. Wednesday nights are the favorite time for bears to visit the Cedar Terrace Tract. That evening, trash containers stand along the roads, seemingly ready for the pickings. Early each Thursday morning, Curry Transfer & Recycling (CTR) trucks pick up whatever the bears left inside the containers. Only a strong splash of ammonia inside of the trash bin will keep bears from dragging any fragrant trash bags into the forest for further inspection. Cedar Hollow Drive and then back to the house. In order to further enjoy the solitude of a nighttime walk in the forest, I carried no flashlight . In the dark, I made my way by the feel of my shoes on the gravel of the driveway. With no moon to light my path, only the feel of hard or soft material beneath my feet kept me on course. I thought, "If I cross paths with a bear, he will likely be more afraid of me than I am of him". The next morning, I noticed something askew in the open-top waste bin that sat near the driveway. Overnight, someone or something had tipped a heavy futon cushion upright in the bin. Now, most of its length stood above the side of the bin. Upon closer inspection, I could see several large, muddy paw prints on the fabric of the futon. Claw marks extended out from each print. It was then that I realized that overnight, a bear had visited my front yard. While sniffing out a small garbage bag, the bear had used one mighty fore paw to lift the fifty-pound cushion. Soon, I found two of my small garbage bags torn open, their contents strewn around in a clearing behind the waste bin. Having found nothing there to eat, the bear deposited a scatological calling card and then departed. Had the bear watched me walk the up and down the driveway the previous night? I consoled myself by thinking that bears only come out in the dead of night, when nothing is stirring. Either way, that is the last time I shall walk the driveway at night, under a New Moon, and without a flashlight. 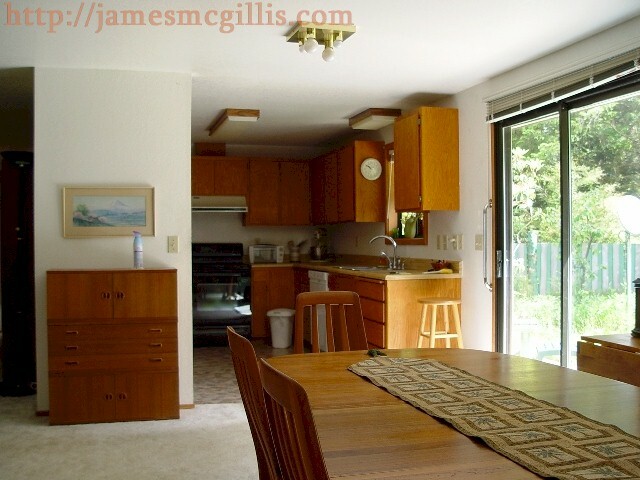 Over the years, my mother and my stepfather had added on to their house three or four times. Starting as a rectangular box, including a one-car garage, it blossomed into a 1900 sq. ft. home. Now there are three wings in the front, plus an attached two-car garage and shop. Inside, I painted both bathrooms and did touch-up painting everywhere else. On hands and knees, I cleaned away any carpet stains. I cleaned the kitchen as if it were my own, spending over two hours on the oven alone. After many days of cleaning, packing and organizing the contents of the house, I rested one morning inside my travel trailer. From my vantage point inside my coach, I saw a lone Black-tailed Deer grazing voraciously on the far side of the front yard. Not straying far, she quickly trimmed any adjacent foliage. From the quiet security of my coach, I shot some pictures of her activities. Soon, she moved off-camera to my left, but then returned to the clearing. 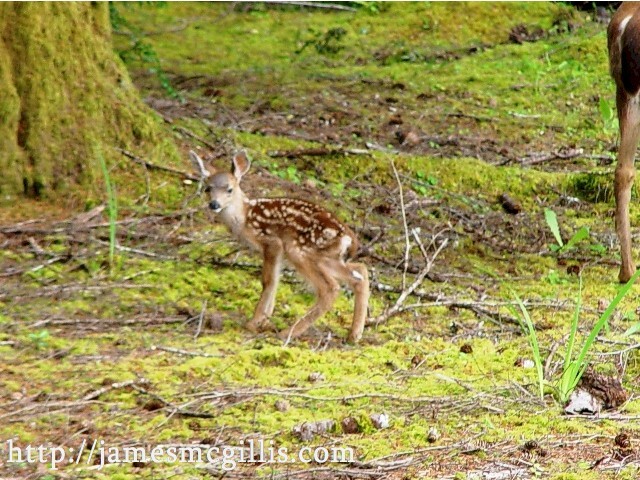 As I watched in astonishment, a newborn fawn followed her out of the forest. Opening my door, I shot several more pictures of the doe and her young fawn. 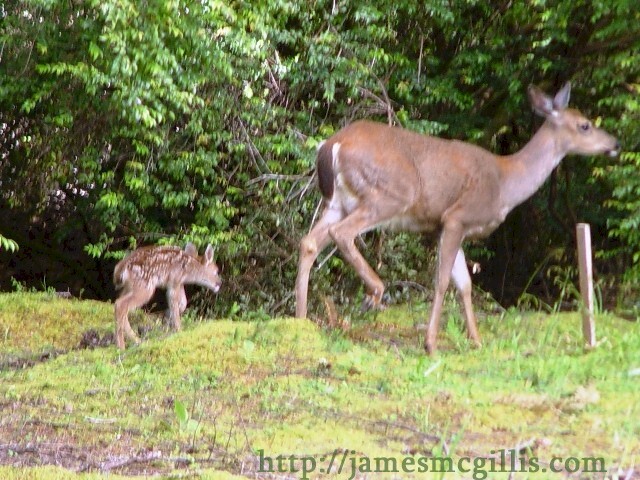 Tiny, with a trembling gait, the fawn appeared to be only days old. Waiting for the fawn to find and follow her, mother led child out into the clearing, and then back towards the forest. As I continued shooting pictures, the fawn stooped beneath its mother and nursed. After nursing, mother and child moved toward the side yard, which affords greater protection from prying eyes. Still hungry, the fawn dutifully followed its mother. As quickly as I could watch and perceive, the bonding between mother and child was complete. A few minutes later, I spied the doe, standing still in the forest foliage. Likewise, she watched me from the shelter of her forest redoubt. Reflecting on that amazing scene, I wondered if our front yard was the birthplace of the fawn. During the thirty years that a house has stood on that lot, there were never any dogs or other known predators on the property. With my mother's quiet lifestyle, the deer and the bears had their run of a forest lot comprising over 1.5 acres. Since this was their shared home for so long, deer appeared to be comfortable birthing, nursing and grazing all over the property. 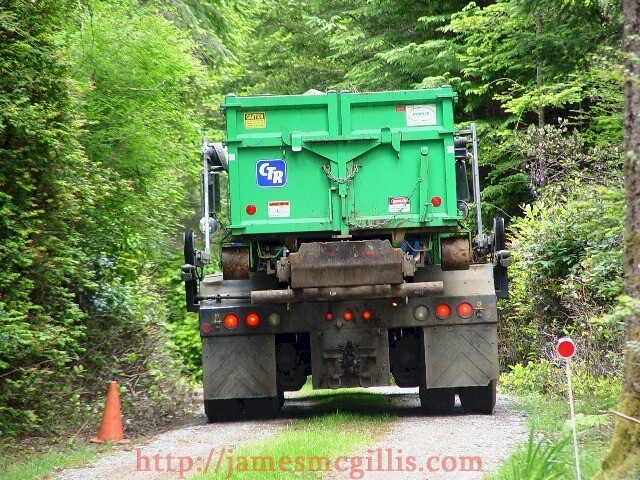 As I departed Port Orford in June, 2010, only the ten-cubic yard waste bin remained as proof that I had done so much work. Within the hour before my departure, a large truck backed down the driveway and then hauled the bin away. I was ready to leave and the house was ready for a lucky new owner to come and enjoy life in the forests of Cedar Hollow Terrace. Two years later, in July 2012 the property sold to a lucky new owner.